Text BOCAJETSLAX to 84483 to receive ALL messages from Boca Jets Lacrosse. 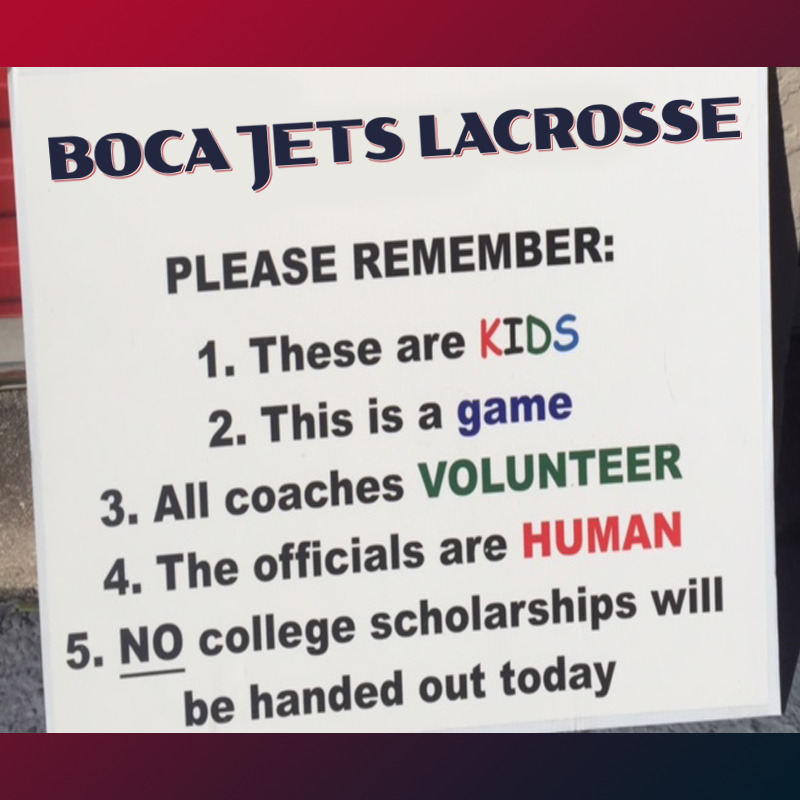 Text BJLPARENTS1 to 84483 to receive BOCA JETS PARENTS messages from Boca Jets Lacrosse. Text BJLCOACHES1 to 84483 to receive Boca Jets Coaches messages from Boca Jets Lacrosse. 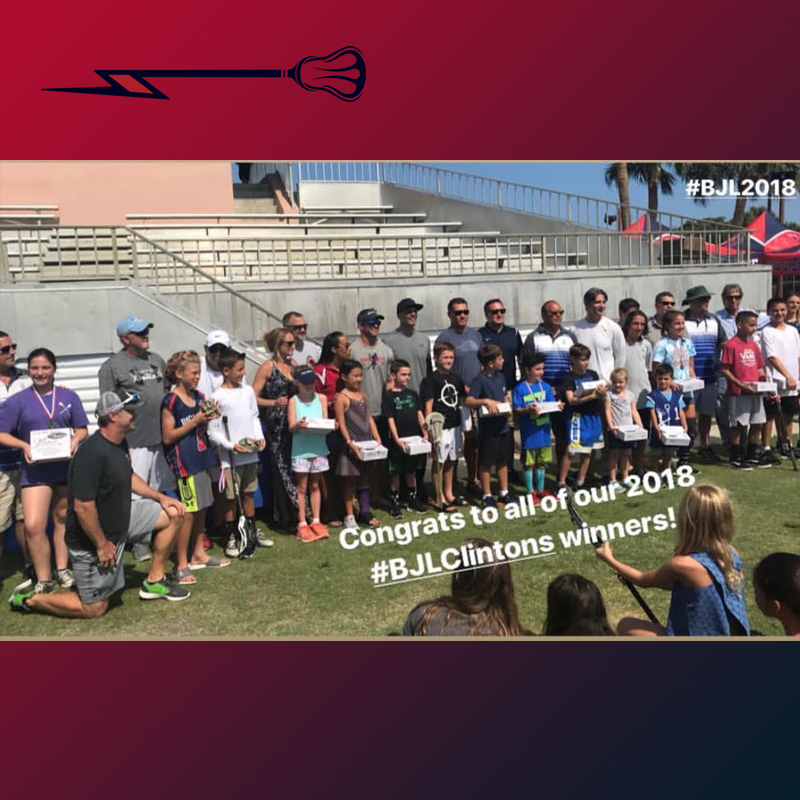 2018..What a great 14th year it was for Boca Jets Lacrosse! We welcomed a lot of new players to our lacrosse community and said goodbye to four "lifers" who will take their skills and love of lacrosse on to high school next year. We are so grateful to all of our families who make the commitment to supporting their players in the love of learning and playing the game of lacrosse. Little Jets Lacrosse is a program that is tailored made for our youngest children to get them involved in lacrosse and give them an introduction to the game. The program is geared toward boys and girls ages 4-8. Anyone who has never played before is encouraged to participate in our Little Jets program. It is a fabulous way to learn the fundamentals of the game. This is a 6 week program that is held on 6 Monday nights starting in September and concludes at the end of October. We will be holding these clinics at Hillsboro EL Rio Boca Raton off of 18th street from 6:00 pm to 7:00 pm on Monday nights. We are aware that many of you have children already playing in our program and may have siblings that fit this age group. We invite you to share this with your local friends who have children in this age group that are interested in learning more about playing lacrosse. Little Jets Lacrosse will supply all the equipment needed to play. 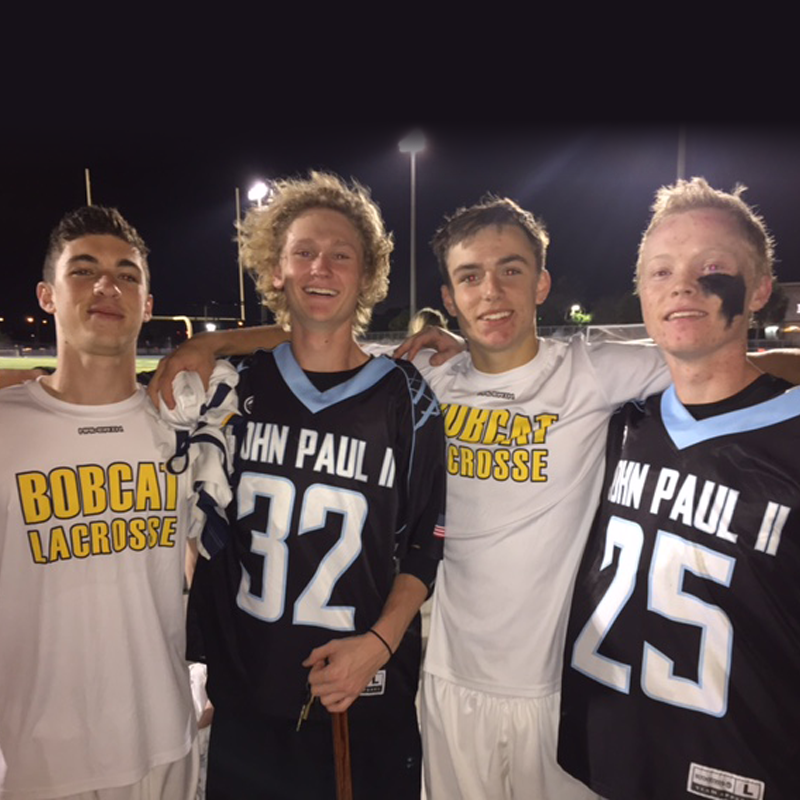 These four Boca Jets Alumni and good friends accounted for 346 points this year while playing at Boca High and Saint John Paul respectively. Mikey Clinton (89), Jarred Chaloux (70), Zach Frey (99), Shawn Gildea (88). Some of the coaches they had while at Boca Jets - Brian Clinton, Don Clinton, Gary Fuchs and Kelly Burnett. 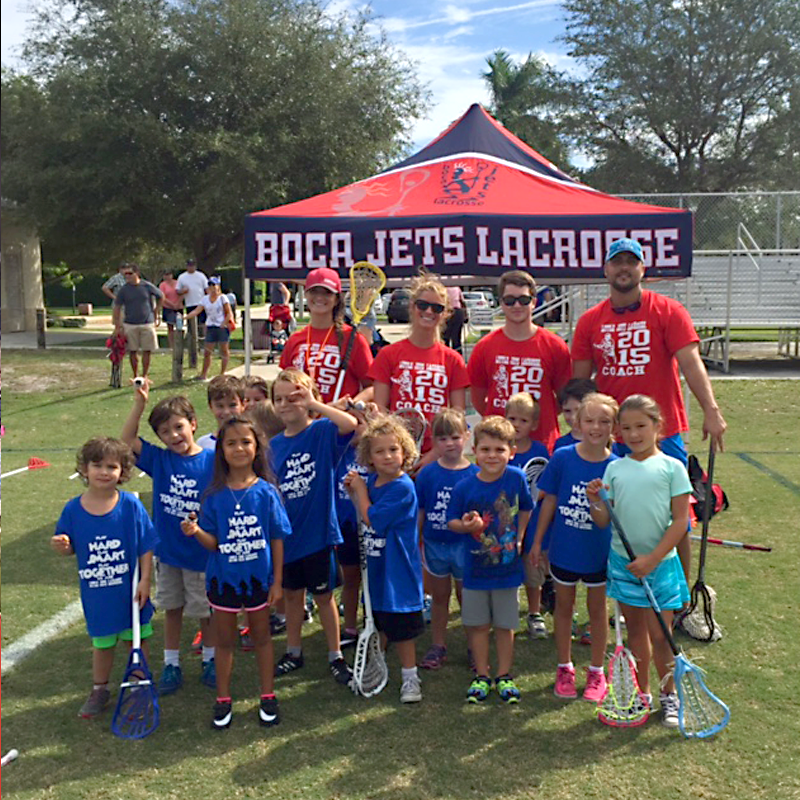 Our League Boca Jets Lacrosse (BJL) participates as part of the South Florida Youth Lacrosse League (SFYLL). The SFYLL is made up of 15 clubs stretching from Miami in the south to Merritt Island in the north. BJL typically will play teams from Weston, Parkland, Davie, Coral Springs, Delray, Palm Beach Gardens and Jupiter. The game schedule is produced by SFYLL in January and is published by the end of the month. Boca Jets Lacrosse (BJL) participates as part of the South Florida Youth Lacrosse League (SFYLL). The SFYLL is made up of 15 clubs stretching from Miami in the south to Merritt Island in the north. BJL typically will play teams from Weston, Parkland, Davie, Coral Springs, Delray, Palm Beach Gardens and Jupiter. The game schedule is produced by SFYLL in January and is published by the end of the month. Again this year Boca Jets leads South Florida Youth Lacrosse with some of the most experienced youth coaches in the area. 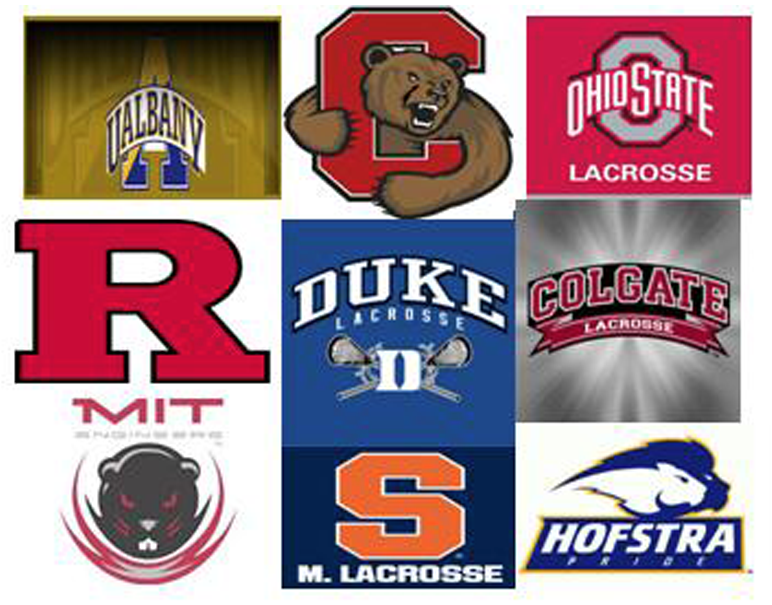 Boca Jets coaches played college ball at Syracuse, Cornell, Hofstra, Duke, Colgate, Ohio State,Albany, Rutgers, MIT, and many other universities with renowned lacrosse programs. 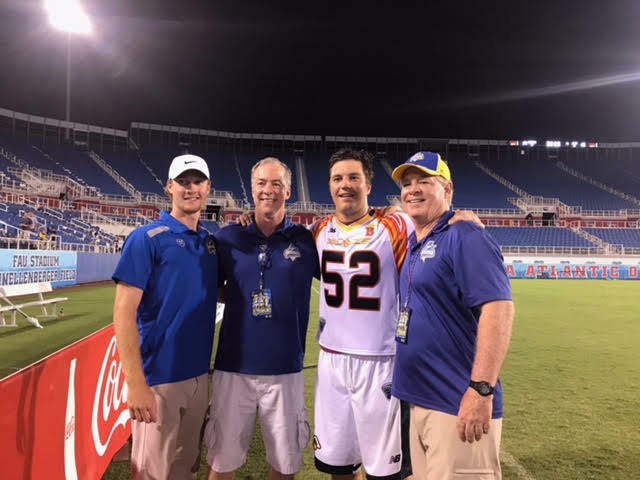 Many of our coaches continue to play today as part of the Florida Lacrosse League. For those players new to our league the list below is the equipment you will need. Please remember to bring a lot of water to each practice as water is not available at the field. All Saturday home games will be played at Patch Reef Park. The first game this year is currently scheduled for February 9th. It will be a Boca V Boca day at Patch Reef Park. At the present time we do not have the schedule from the SFYLL. All correspondence will be answered within 24 hours. We look forward to seeing you on the field. There is nothing better than a Saturday filled with lacrosse and fun at Patch Reef Park! We can't wait to share the excitement with you. The 2019 Boca Jets Lacrosse Season starts with practices begining on the 14th of January at Patch Reef Park in Boca Raton. You will hear from your coaches to learn your team information. All practices will be held at Patch Reef Park. Generally your team will practice two nights per week. see your practice schedule here! The first game is scheduled to be held on February 9th at home where we will play each other. All of our home games will be held at Patch Reef Park. We will have away games as well to play the other recreational teams within the South Florida Youth Lacrosse League (SFYLL). Away games are generally within a 15 minute to 1 hour drive from Boca Raton. Once you are assigned to a team to a team you will be able to see your game schedule here!